By following a few simple rules, you won’t have to think about your system on a day-to-day basis. Indeed, with proper use, septic systems can operate for years without much management. Maintenance begins with sound water use and waste disposal habits. Since your family will determine which materials enter the system, we encourage you to set rules and stick to them. Ask us for a complete list of prohibited items for your custom system. Many homes have garbage disposals to help manage vegetable and other food waste. Excessive use of your garbage disposal may introduce a high level of unwanted solids into your system. Use disposals moderately and consider composting as an option to handle vegetable waste. With large families, keeping track of water use can be hard. But laying down guidelines can help everyone do their part. Also consider getting energy and water-wise appliances when you need to replace your current models. Visit www.energystar.gov/ for suggestions. Be aware that your system is sized to handle the number of people anticipated to be using it when it is installed. If that number increases, you may need a larger system. Do not use harsh drain openers for a clogged drain. The best alternative to conventional, caustic drain openers is to use boiling water or a drain snake to clear clogs. Though this approach may be a little messier, the chemicals in drain cleaners can cause havoc with your septic system. Use mild or natural cleaners for your bathroom and kitchen. They should either be approved for use in septic systems or marked biodegradable. Be aware that bleaches and antibacterial soaps can inhibit the enzymatic action necessary to help bacteria break down the solids in the tank. 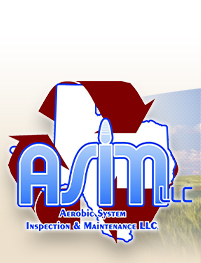 Again, harsh chemicals can cause expensive and unpleasant problems in your system. If you use or intend to use a water softener in the home, let your installer or maintenance contractor know. Under certain soil conditions, the salt recharge solution must be handled carefully and the size of your septic system may need to be increased. Have the solids pumped out of the septic tank on a regular basis. Your installer, a recommended and licensed septic contractor, or your local health department can give you guidelines. Remember, more sophisticated systems may require additional maintenance. So always ask your installer for details before he starts excavating.